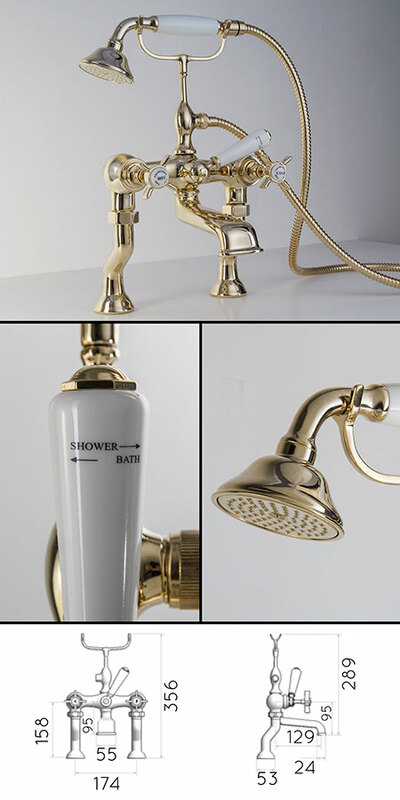 Italian manufactured gold plated bath filler with cradle shower attachment. This gold bath tap is made of solid brass with a thick gold plating and can be supplied deck mounted, wall mounted or on legs and floor mounted. Designed for high quality and luxury bathrooms, these gold bathroom taps are in a traditional style.